The first son of Imo State Governor, Engr. Aham Okorocha, was in attendance as he accompanied his father Owelle Rochas Anayo Okorocha, to the 10th year anniversary celebration of the Sultan of Sokoto. 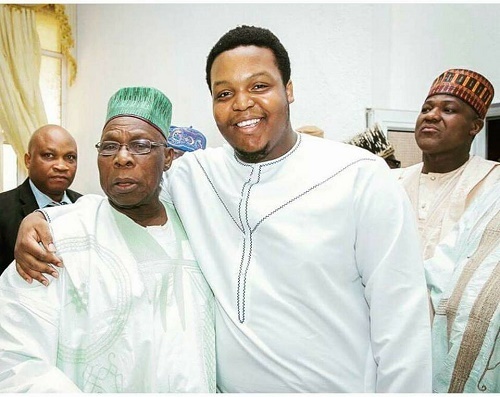 He was spotted during the weekend posing with former President of Nigeria, Obasanjo and other dignitaires at the occasion in Sokoto.